To celebrate the occasion of 44th National Day of the United Arab Emirates, Aldar Properties engaged us in creating a monumental light experience. 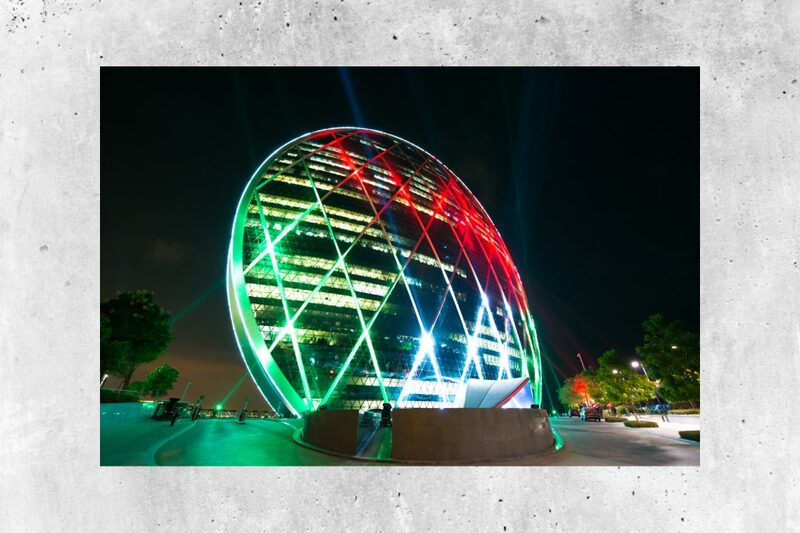 To commemorate Martyr’s day and the occasion of 44th National Day, Aldar Properties commissioned a two-week light show projected on their main office building – HQ at Al Raha Beach, Abu Dhabi. Gorgeous hues of red, green and white could be seen all the way from the F1 race track during the 2015 Abu Dhabi Grand Prix on Yas Island.